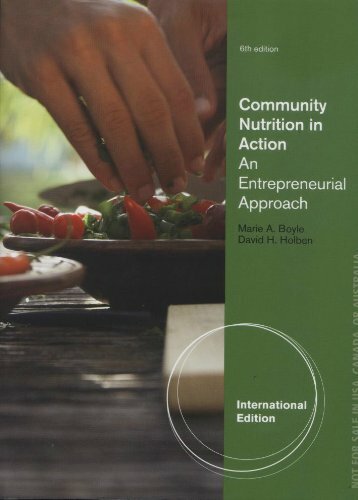 core material important to those who will be active in solving community nutritional and health problems, including program delivery, nutrition education, nutrition assessment, and planning nutrition interventions. Nutrition and Dietetics, and the Society for Nutrition Education and Behavior, as well as serving as an author and reviewer for the latter two organizations. She coauthored the current position paper of the Academy of Nutrition and Dietetics on Food and Nutrition Security in Developing Nations, and serves as editor-in-chief of the Journal of Hunger and Environmental Nutrition from Taylor & Francis Publishers. 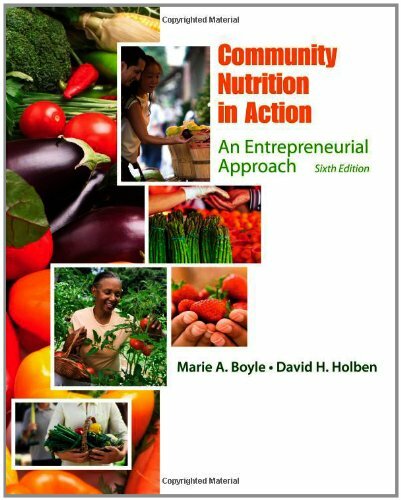 Community Nutrition, Introductory and Advanced Nutrition, Medical Nutrition Therapy, and Research Methods. He is active within the American Dietetic Association at the national, state, and local levels.